This is my first Follower of the Month post on this new blog. You can see previous interviews on my original blog HERE. This month's featured follower is Emily of Stepping Stones. I met Emily early in my grief on SHARE and she has been a wonderful and supportive person ever since. I think as you get to know Emily, you'll come to the same conclusion. Emily and her family have taken time out of their own lives to reach out to other bereaved parents, which you will learn more about as you read the interview below. My name is Emily. I often use the usernames babybug or pokemom depending on what message board I'm on. 2.Tell us a little bit about you. I'm a big nerd. I like reading. letterboxing and birdwatching. I was a anthropology major in school. I was a manager at Borders Books & Music for about 15 years and I taught Montessori for a few years, too. Now I'm a virtual assistant (work from home to help my clients in their businesses). I just turned 40, I'm married and have 4 kids. I should have 5. 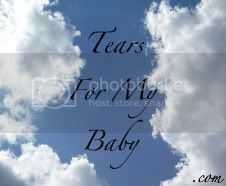 My son Gabriel was stillborn 8 years ago. My living kids are separated by a big gap of 8 years. I think that is just symbolic. There is kind of a before and after in my life. I am definitely a different person now than I was then. 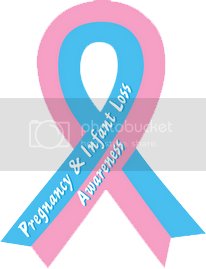 I have a website to sell remembrance and pregnancy loss awareness items to help people remember their babies. Sometimes I think I married this particular man (an artist) and had this particular kid (Gabriel,stillborn at 21 weeks) to do some small good in this world. 3.When did you start blogging and why? I have 16 blogs but only one or two I regularly update. I first started blogging when my sisters-in-law started a family blog to share photos and recipes and stuff like that. 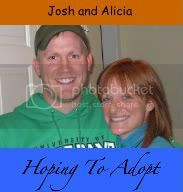 I realized I was monopolizing their blog so I started my own family blog. 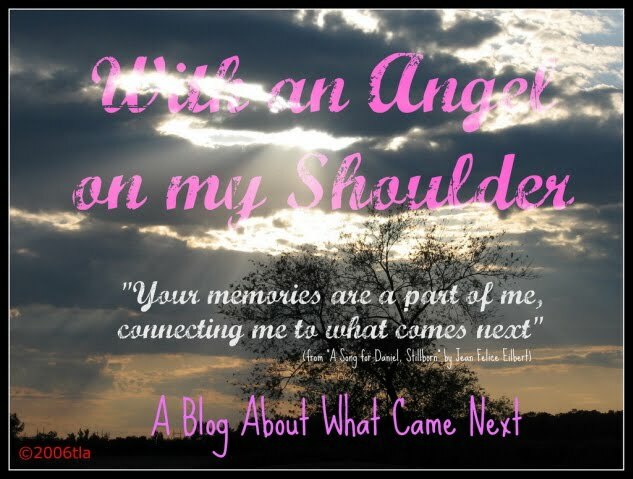 My Stepping Stones blog just kind of evolved out of my website PregnanyLossRibbons.com as a way for me to easily post and update when I heard about events or found helpful websites for grieving moms. 4.Tell us a bit about your blog(s). 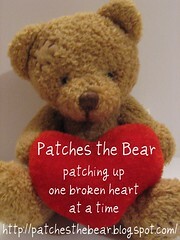 My main blog is the Stepping Stones blog to help those who are trying to find their way after the death of a child. It is based from a quote I heard once "One of the secrets of life is to make stepping stones out of stumbling blocks.' I hope that we can share how we get through it all and maybe make it a little easier for another grieving mom out there. At the very least, it helps a little to know we are not alone in this whole thing. 5.Has blogging changed you or your outlook on life at all? I try to stay as positive as I can in a hard situation. If I start getting negative I stop posting for a while. You would probably find me in real life holed up in bed watching MASH reruns and eating my way through a bag of mini-snickers. But I find I try to look for the good more often in situations and every once in awhile I'll have an a-ha! moment where I think "Hey! I need to share that with my readers of my blog" I post stuff on my blog that I have never told people in my real life, not even my husband. 8.How did you come to be a follower of mine and why do you follow me? 9.What, if anything, have you gained from reading from my blog? Thank you Emily, for being the Follower of the Month this month. I have enjoyed interviewing you and getting to know you a little better. If you are here from Emily's blog, Welcome. Please leave a comment so I know you were here and so I can come visit you too. Take a look around and, perhaps, you'd like to become a follower too. If you are interested in becoming a Follower of the Month, please send me an email and let me know. WOW Ter! This looks awesome! You have been busy! Oh I just love Emily!! She is the first blog I ever followed!! nice, love these kids of posts...always great to meet new people. Ter! Your blog looks fantastic! What a wonderful interview! Thanks for sharing her with us! Wishing you peace. I am a follower on Emily's blog. I have enjoyed visiting and learning more about you and your story.